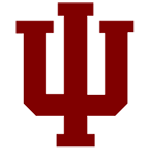 The longer IU fans wait for a winning season, the further they get from the closest thing they’ve had to something resembling glory days, the more they appreciate Bill Mallory. He didn’t coach the Hoosiers to an undisputed Big Ten champion and undefeated season like Bo McMillin did in 1945 (when World War II jumbled rosters and leveled the playing fields). He didn’t coach a team to the Rose Bowl, like John Pont did after the 1967 season (when every break seemed to go the Hoosiers’ way). He did, however, compile the greatest record of sustained success while coaching the Hoosiers from 1984-96. His teams went to six bowl games, and he became the schools’ all-time winningest coach with 69 victories. Mallory was a classic old-school coach, straight out of central casting. Tough, but fair. Honest. Free of ego. Fundamental. In my One on One conversation with Anthony Thompson, he told the story of how Mallory had once jumped into a tackling drill in practice, without pads, to show his players how to do it. That was Mallory. Unlike some people, I don’t really blame IU for firing Mallory in 1996. He was 61 by then, and his teams had gone 1-15 in the Big Ten the previous two seasons. Still, he qualifies as the greatest coach IU has ever had, because of his sustained success. He won at Miami of Ohio, he won at Colorado and he won at Northern Illinois before getting to IU, and then he won there. Ask his many successors – Cam Cameron, Gerry DiNardo, Terry Hoeppner, Bill Lynch and Kevin Wilson – how difficult that is. On top of all that, he’s simply a really good man. A man from the Cradle of Coaches who was meant to coach football.